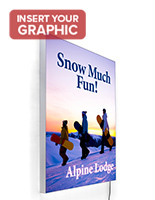 Advertising graphics can be permanent or temporary, depending on their use. 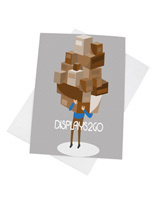 Paper posters and other ephemera tend to fall into the latter category. 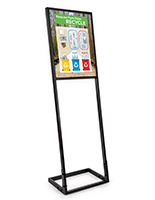 However, when it comes to higher quality displays, applying custom printed signage directly to the first (on the front side) or second (on the reverse side) surface makes for a more professional appearance. 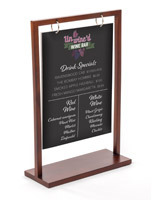 Our UV printing service offers this permanent process on a large selection of sign displays. 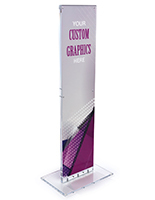 Choose wall panels mounted with standoffs, or opt for a double-sided floor stand that can be strategically placed. 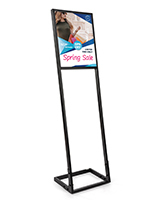 These custom printed signage displays will upgrade the quality of your advertising or marketing campaign. 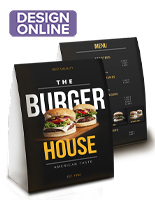 Our printing processes also provide high-resolution capabilities suitable for any professional application, from retail to corporate. 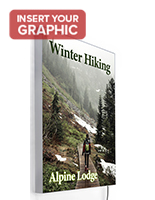 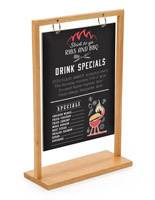 What kinds of sign displays feature this high-quality digital printing? 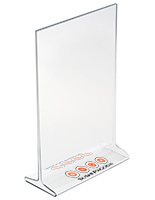 Countertop holders come in a wide variety of sizes ranging from 4" x 6" up to 11" x 14". 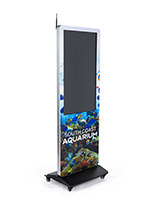 Models featuring customizable aluminum bases are available with computer-cut vinyl logos. 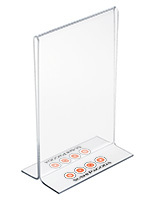 These are designed for displaying paper inserts. 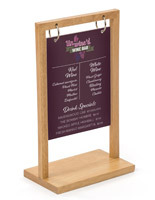 All-acrylic sign holders come with our UV-print service, where the graphic becomes the sign. 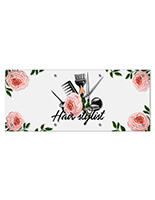 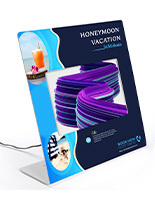 In this case, your custom artwork is printed on the second surface, or behind, the acrylic plastic. 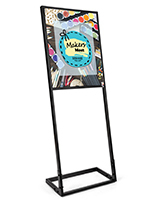 This provides a shiny and polished presentation for all your tabletop marketing needs. 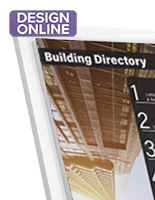 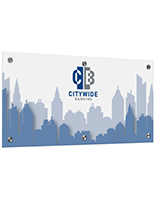 Wall mount signage features thick 1/4" acrylic panels suitable for the boardroom or behind the reception desk. 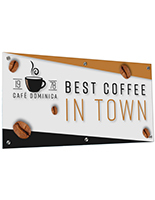 Intended for corporate logos, photography, or other permanent artwork, these sharp wall displays project a professional image in any location wherever they are installed. 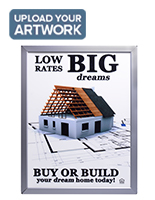 The addition of stainless steel standoffs lifts your large format panel off the wall for a more dramatic presentation. 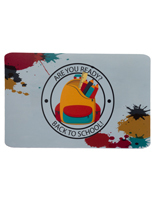 The UV printing is applied to the rear so the flawless acrylic surface on the face amplifies the quality of your artwork. 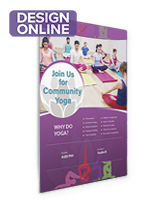 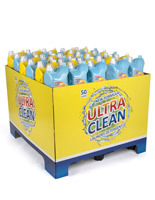 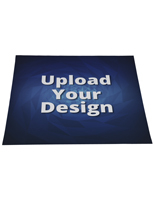 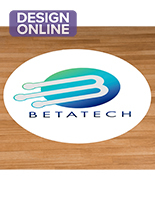 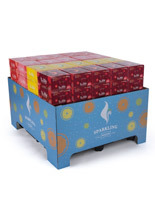 Floor-standing displays place your custom printed signage wherever you desire. 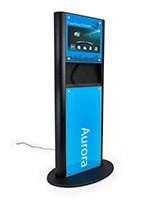 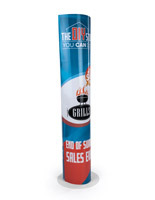 With the ability to get noticed much easier by passersby, these make excellent marketing beacons! 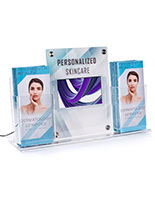 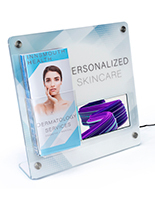 We sell all-acrylic models (with or without brochure holders) that include second surface UV printing. 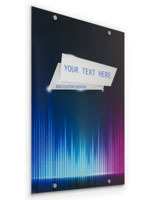 We also offer first surface prints on affordable black foam boards. 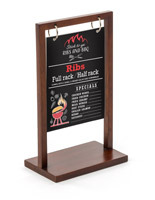 These insert into lightweight steel bases, giving businesses more options when it comes to their budget. 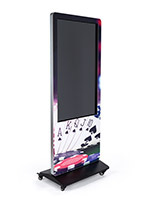 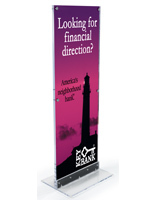 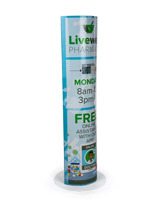 All floor stands feature double-sided graphics to help capture the attention of people either coming or going. 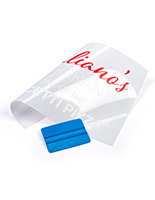 The distinct advantage with UV print technology is its permanence. 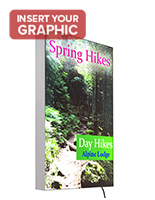 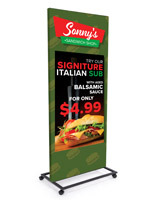 Unlike paper posters or cloth banners, these rigid sign displays won't wrinkle or sag. 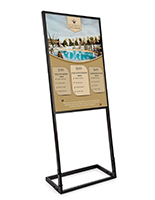 They are also waterproof, allowing them to be placed in almost any environment. 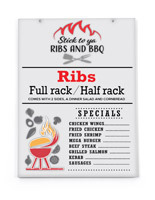 We make the ordering process easy. 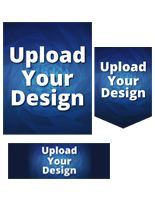 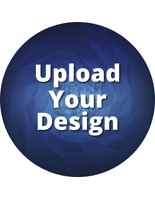 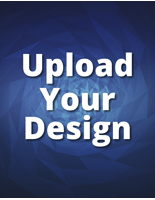 Design templates are available for download on every product page. 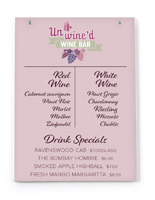 Send us your graphics and we will ship out your custom sign display usually within 4 to 6 days after artwork approval.